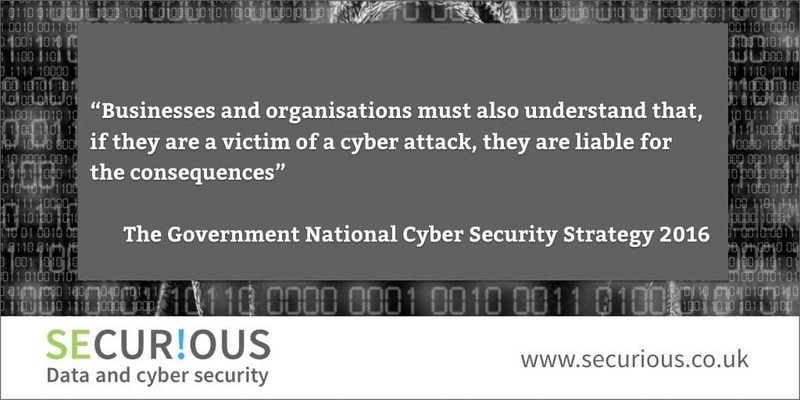 Government to use levers to exert pressure on businesses and organisations to manage their cyber risks. The report introduces the objectives of Defend, Deter and Develop as the government response to this. It has set aside £1.9bn of funding for the implementation of the new strategy by 2020. The government states that it will make use of available levers, including the forthcoming GDPR to drive up standards of cyber security across the economy, industry, and if required through regulation. The report says that the Government will work through organisations such as insurers, regulators and investors which they believe can exert influence over companies to ensure they manage cyber risk. Need Cyber Essentials Certification in a hurry? If you would like to talk to qualified and independent cyber security experts about the potential risks to your business/organisation and the steps you can take to mitigate them, please give us a call on 01392 247 110 or contact us on this form. Cyber Essentials - how the 5 controls will help protect your business.